Studying for the GRE isn’t like studying for a traditional History or Math test. In those exams, small universal details and rote memorization play a big role. If you were to take time away from studying before such a test, you might forget a date or a formula, and that could cost you questions on the exam. 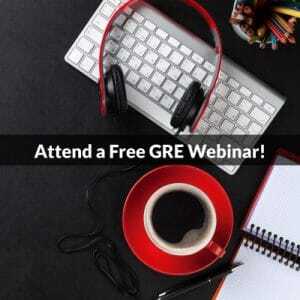 The GRE is a process and concept test, one where your understanding of the big picture ideas in play is crucial and the details change constantly. In other words, even though the GRE requires you to have at your disposal a handful of memorized tools (vocab, a few formulas, etc), the key to real success is your understanding of consistently tested constructs/structures. Much of GRE preparation is about abstract concepts and techniques. To absorb these ideas and apply them seamlessly, your mind needs to place these elements subconsciously, and situate them properly for instant recall. This takes time, and it is one big reason that you can’t cram all that productively for the GRE. But it also means that when you take breaks from studying the GRE, your mind keeps processing the ideas and integrating them into your analytical structures. While taking short breaks is always good, four specific groups of test takers can benefit from even longer breaks of up to several weeks. If you have a long-term study plan, you must include a few lengthy breaks in your schedule. I occasionally talk to students who have intense study plans (think 8 hours of studying a day for a year—no kidding! ), and they often feel like any break will jeopardize their progress. It’s actually the opposite, because not taking breaks will lead them to joining the next group on this list, the GRE burnouts. What’s GRE burnout? It’s what happens when you study for so long and so hard that you literally get sick at the thought of seeing another GRE question, and you’d rather gouge your eyes out than study any more (ok, maybe it’s not quite that bad, but you get the point). While most people never reach burnout while studying, for those who do, it can be quite frustrating. These students benefit heavily from a long break because they can recharge, and return to their prep refreshed. And they often return several points better than where they left off. 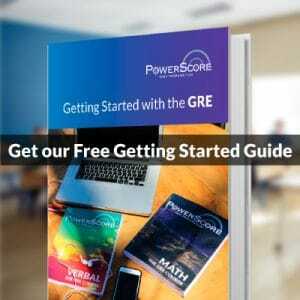 Students preparing for the GRE often run into score plateaus, where despite continued studying, their score fails to increase. While there are different causes and cures for this problem, taking a break from the test is one tool that is often overlooked. Just the break alone will often provide the push needed to break out of that plateau. Now, if you’ve only been studying two weeks, you shouldn’t take a month off, so make sure to vary your break in relation to how much you’ve already studied. Consider someone who graduated college ten years ago, got a job, and has been working in the non-academic world ever since. That person likely hasn’t had to crack a textbook or academic manual in a decade! And like anything else you step away from for that long, it takes a while to build back the endurance and concentration necessary to push yourself for an extended period. Quit the gym for a month and you’re sore the first few times back; quit the gym for a few years and you’ll barely remember how to use the equipment. So ease into slowly and plan for occasional breaks as you re-train your mind and body to be a test taker again. So, go ahead and take a brief vacation from the GRE now and then. You’ll often find that when you come back, you are actually better than you were before. And when people ask why you aren’t preparing for the test, just tell them you are—subconsciously!